The rich and powerful from across the globe will flock to the ski resort town of Davos on the Swiss Alps for five days beginning Monday to discuss what's ailing the world amid fears of the global economy sleepwalking into a crisis, with more than 100 CEOs from India expected to be in attendance. While ongoing political and economic issues in their respective countries have already led to several top leaders, including the US President Donald Trump, Britain's Theresa May, France's Emmanuel Macron and Russia's Vladimir Putin, deciding to stay away from this annual jamboree, many participants believe their absence has further underlined the need for an immediate brain-storming over the imminent risks faced by the world. Those expected to attend include German Chancellor Angela Merkel, Swiss President Ueli Maurer, Japan's Shinzo Abe, Italy's Giuseppe Conte and Israel's Benjamin Netanyahu among more than 30 heads of state/government, as also CEOs of global corporations, central bankers, economists, civil society leaders, media heads, celebrities and heads of international organisations like IMF, WTO, OECD and World Bank, among more than 3,000 participants. From India, Finance Minister Arun Jaitley as also his cabinet colleague Dharmendra Pradhan have dropped out and so have Andhra Pradesh Chief Minister N Chandrababu Naidu and Maharashtra Chief Minister Devendra Fadnavis. 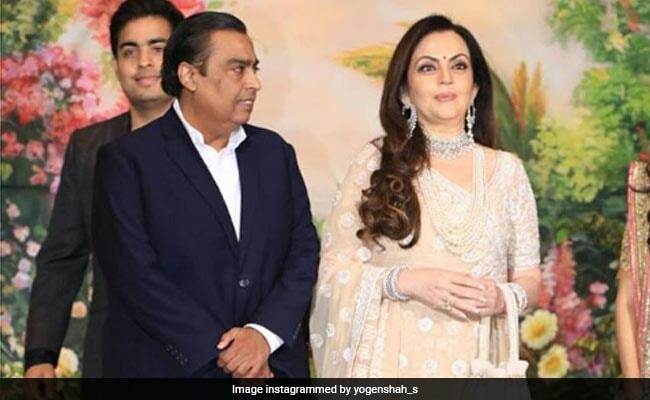 There are a number of Indian corporate honchos among the registered participants, including Gautam Adani, Mukesh Ambani (with wife Neeta and children Akash and Isha), Sanjiv Bajaj, N Chandrasekaran, Sajjan Jindal, Anand Mahindra, Sunil Mittal, Nandan Nilekani, Salil Parekh, Azim Premji and son Rishad, Ravi Ruia and Ajay Singh. Microsoft's Indian-origin CEO Satya Nadella will be among the co-chairs of the 2019 edition of this annual congregation of world leaders from January 21-25. He would be joined by six young leaders under the age of 30 as co-chairs -- Basima Abdulrahman from Iraq, Juan David Aristizabal from Colombia, Sweden''s Noura Berrouba, Julia Luscombe from the US, Mohammed Hassan Mohamud from Kenya and Japan''s Akira Sakano. The theme of the event would be ''Globalization 4.0: Shaping a Global Architecture in the Age of the Fourth Industrial Revolution'', which would have several India-focussed sessions. Besides, India's political scenario may hog the limelight, with the event taking place ahead of the national elections. "This fourth wave of globalisation needs to be human-centred, inclusive and sustainable. We are entering a period of profound global instability brought on by the technological disruption of the Fourth Industrial Revolution and the realignment of geo-economics and geopolitical forces," WEF's Founder and Executive Chairman Klaus Schwab said. "We need principals from all stakeholder groups in Davos to summon the imagination and commitment necessary to tackle it," he added. Besides the official sessions, industry body CII and several other Indian groups have also lined up their own meetings on the sidelines. At a session on emerging markets outlook, discussions would be about whether policy makers are equipped to avert a hard economic landing with highly-leveraged emerging market economies feeling the pinch from growing protectionism and tightening monetary conditions in the US. Another session would focus on "India and the World", which would cover the country's emergence as a compelling growth story and the questions being raised about its long-term sustainability due to a falling rupee, volatile external financial markets, worsening current account deficit and stress in the banking sector. One official session would discuss India's consumer markets and how its lessons can be applied to other fast-growth economies.